Interview with Mitesh Bohra CEO and Co-Founder at Savetime, a Pune based startup which is providing a platform for patients to connect to the right doctor online. The healthcare sector in India will grow to $158.2 billion in 2017 from $78.6 billion in 2012, Equentis Capital said in its report last year. The factors behind the growth is rising incomes, easier access to high-quality healthcare facilities and greater awareness of personal health and hygiene. The report also highlighted that the digital and mobile growth in the country, online medical record, hospital information are some of the technologies gaining acceptance in the sector. While it looks like an easy journey for startups or firms that are trying to make this happen, there is a lot more beneath the rosy picture. To understand the health care sector, the challenges and how digital or mobile is providing the edge I booked an appointment with Mitesh Bohra on a Saturday. The engineering and management graduate who comes from the city of Indore is also the Co-Founder and CEO at Savetime.com – an online network that brings doctors and patients together. The objective of the platform is to provide patients the right doctor in their area via web or mobile. The 13 month old startup operating from Pune has 19 people on board with two more Co-Founders Avinash Sethi and Siddharth Sethi. The startup is also being technically powered every day under the guidance of their CTO Abhinav Shrivastava who brings 10 plus years of experience under his belt. In the hour long interview, Mitesh, who has been inclined to healthcare issues in the country due to family reasons, shares his story from their first startup to the birth of Savetime, the reality check of Indian markets, the amazing pivot and how finally the startup took the form of a complete network for doctors and patients. The interview divided into two parts sees Mitesh in the first part talking about the early days of the co-founders in the US, how their first startup Infobeans was formed and how they left the services business and jumped into the healthcare field. Going further Mitesh talks about the initial idea of Savetime and how it didn’t match with the ground realities of Indian market. In October, 2012 the startup pivoted to a doctors network and later on evolved as a patient network too. 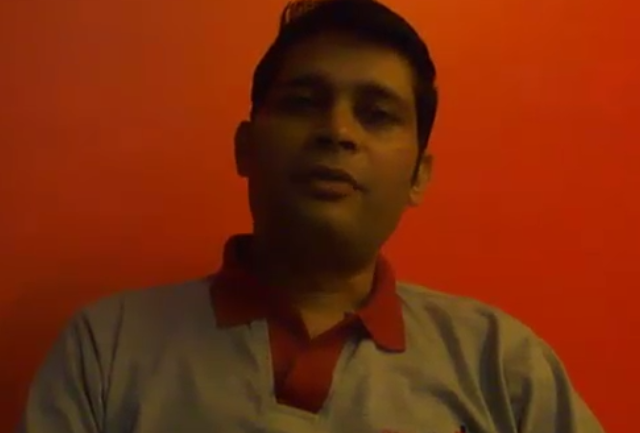 Click on the video to find out the story from the passionate entrepreneur. The second part of the interview will focus on how Savetime is using digital and mobile, how social networks are being integrated with Savetime, revenue model, challenges and the road ahead for the startup.